Of the many issues debated about perennially, few have the potential to save lives like defunding nation’s number one abortion provider–Planned Parenthood. Defunding Planned Parenthood could save hundreds of thousands of lives every year. In 2013 alone (FY2013), Planned Parenthood Federation of America (PPFA), the U.S. affiliate of Planned Parenthood, claimed the lives of 327,653 unborn children. 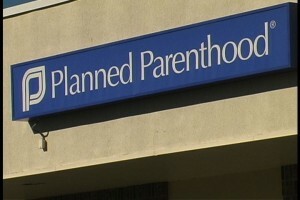 Planned Parenthood stops 37 beating hearts every hour. Planned Parenthood’s abortion business relies heavily on funding from the American taxpayer. According to the GAO, Planned Parenthood Federation of America spent nearly $325 million federal taxpayer dollars between 2010 and 2012. Over the same time period, PPFA received an additional $1.2 billion dollars through federal and state reimbursements under the auspices of health care programs such as Medicare, Medicaid, and Children’s Health Insurance Programs (CHIP). In total, 43% of Planned Parenthood’s revenue comes from American taxpayers. Prohibiting federal funding for an organization that terminates the lives of one-third of a million children every year could go a long way to reducing the organization’s capacity to carry out abortions in the United States. But Planned Parenthood is not only active here in the States. Planned Parenthood Federation of America’s parent organization, the International Planned Parenthood Federation (IPPF), has a network that spans the entire globe. IPPF affiliates promote abortion on-demand in nearly every country on earth. In 2014, IPPF spent over $137 million promoting abortion worldwide. In many of the countries where IPPF is active (particularly in Africa and Latin America) abortion is illegal in all or most cases. A new map from the Population Research Institute shows how much money IPPF spends in each country around the world. IPPF receives generous of funding from the U.S. Government. From 2010 to 2012, IPPF received over $26 million federal taxpayer dollars from the Department of Health and Human Services (HHS) and the United States Agency for International Development (USAID). While federal funding for IPPF is far less than PPFA, it should be noted that IPPF funding goes exclusively to Planned Parenthood affiliates outside of the United States. In essence, IPPF funding is foreign aid. While USAID, the agency primarily responsible for U.S. foreign assistance, is funded by less than 1% of the federal budget, funding to IPPF accounts for over 2% of federal disbursements to Planned Parenthood. Contrary to the American ideals of tolerance and respect of other cultures, IPPF regularly lobbies and pressures the elected governments of foreign countries to change their laws on abortion, typically through funding a local organization to do so on their behalf. Recently it was discovered that IPPF funded a local organization in El Salvador to pressure the government into legalizing abortion. The vast majority of Salvadorans are pro-life–only 2% of the population finds abortion morally acceptable. IPPF is one of the world’s most deadly abortion organizations. In 2014 alone, IPPF terminated the lives of over 1.1 million unborn children–more than twice the number of abortions committed by PPFA alone in any given year. Contrary to what pro-abortion advocates claim, millions of women are not helped by Planned Parenthood. Rather, Planned Parenthood terminates the lives of millions of future women (and men) before they can even draw their first breath. Let us speak up for those who never get the chance to speak for themselves.